Over the past few years, corrugate has emerged as being great for more than just packaging. It’s moved into our homes as art, furniture and even home décor. And in the push to (rightfully) move away from the hunting of animals for sport, corrugate is stepping in to fill the gap. 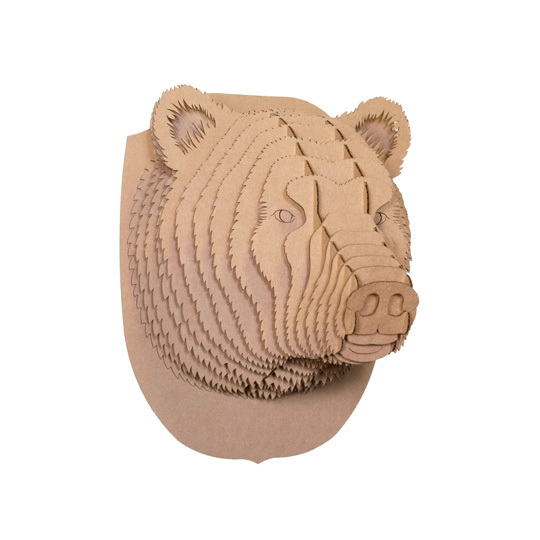 Made of laser-cut corrugate and containing recycled material, Cardboard Safari is an eco-friendly, socially-conscious way to decorate your place with creativity and personality. 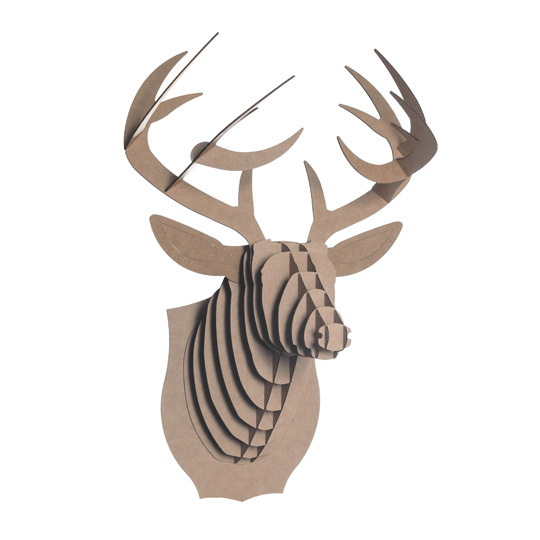 Call it cardboard taxidermy, it’s the latest thing. Looking for inspiration on where to start, or who to start with? 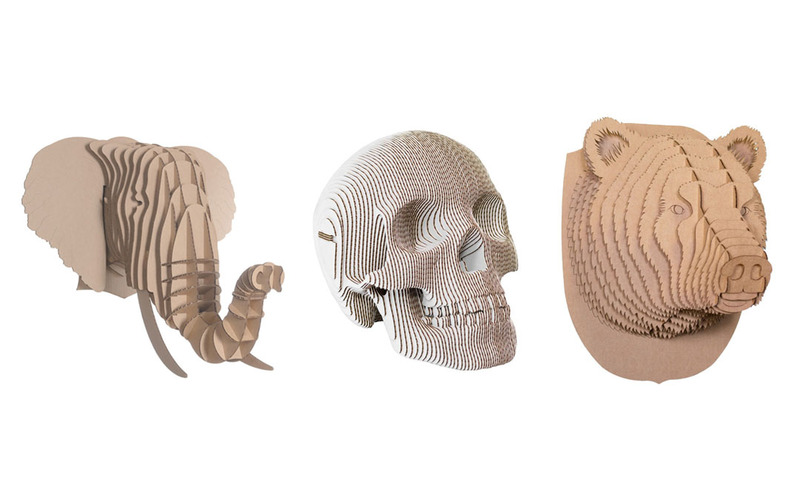 Here’s some of the biggest personalities you’ll find in the Cardboard Safari lineup. Calling all lovers of the outdoors. Fred loves nothing more than a great view out the window of your living room (especially at the cottage!). He feels right at home with the trees, Muskoka chairs and throwback summer tunes. Decorating him makes a great project for the kids—especially on the long weekends! Check out a video of Fred being assembled further down this blog! Every den needs an animal to watch over the place, and Stewart’s definitely your bear. He’s a conversation starter (which is great, because he’s a talker) and is never happier than when you’re watching action movies with the surround sound volume cranked way up. He’s a sports lover too, and is totally primed to be decked out in your team’s colours. 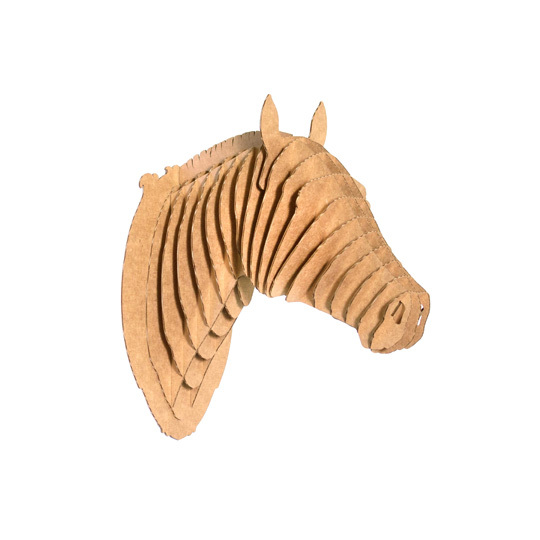 If you know a horse lover, Pippin’s the perfect companion for their bedroom or living room wall. He’s a pretty one who loves to have books read to him, and appreciates marathons of old spaghetti westerns. For the artsy horse lover, he’s not afraid to be decorated in unique patterns and colour schemes—he truly is in a breed of his own. Lovers of everything fantasy (novels, movies and maybe even cosplay) will find a unique friend in Merlin. A mythical creature who loves great stories and conversations, he’s perfect for watching over young ones and encouraging their imaginations. Legends say his only requests are to be decorated in bright colours and interesting textures. Budding explorers can enjoy the wonders and sights of safari from the safety of their bedrooms. Eyan’s a storyteller of the best kind, sharing the times he spent running with the cheetahs, trekking with the antelope herds and taking long weekend vacations around lagoons and watering holes. He’s also game for being decorated in strong colours, interesting patterns and maybe even a little war paint. No one loves being the centre of attention more than Bucky. Placed in the foyer or down a main hall, there’s nothing he loves more than hearing “Oh, who’s that?”, when a new guest (and potential admirer) arrives and takes off their shoes. Think carefully before you let him stay in the living room, or you and your guests may never get a word in edgewise. Prone to preening, he loves being outfitted in seasonal décor and the favourite colours of his family. Any gothic fans in the house? Vince is perfect for desks and shelves, hanging around classic books, wearing props, or inspiring you to write that great Canadian horror story. 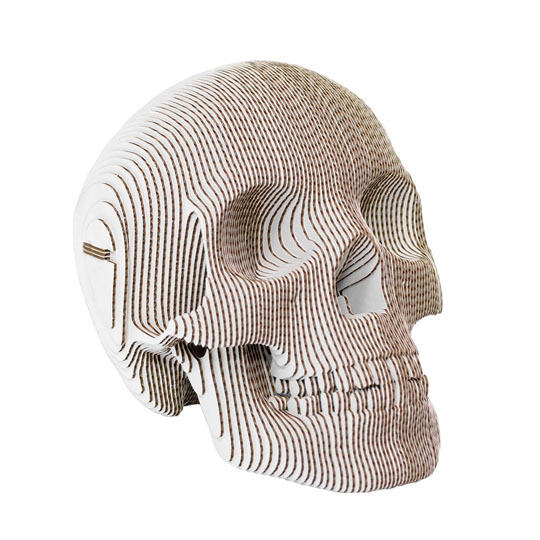 His resume includes yearly appearances at Halloween hauntings, séances, and multiple critically-acclaimed performances as Yorick in productions of Shakespeare’s Hamlet. 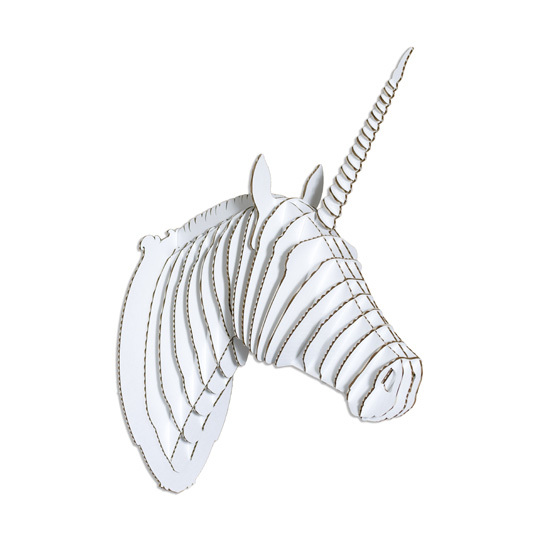 Eager to try decorating your place with corrugate? 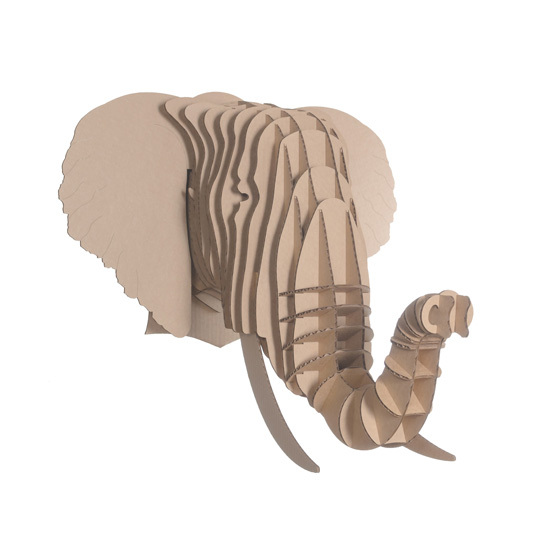 Try the fun and whimsy of Cardboard Safari! Want to see them in action? 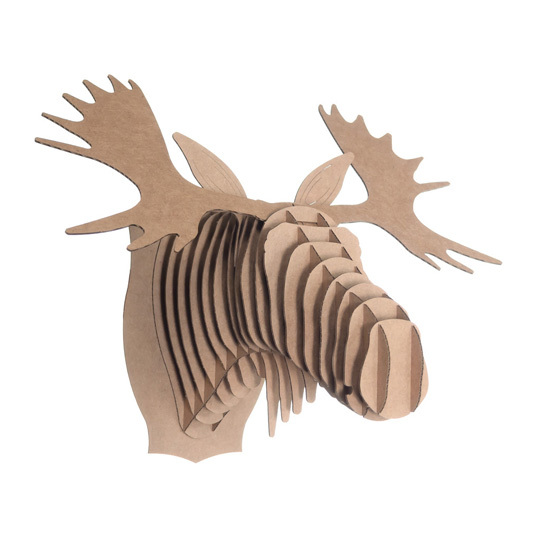 Check out Fred the Moose being built!